Father is a son of ‘Hayabusa King’, the great winner of 6x 1st prize in big competition paired with ‘Land Lady’, daughter of ‘First Knight’ Petrie. 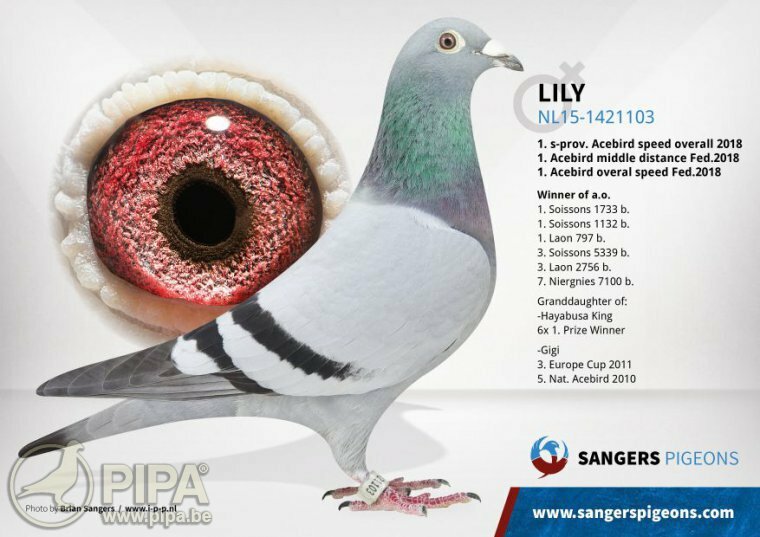 Mother is directly from Alwin Petrie of which sublime ‘Gigi’, Europe Cup pigeon and 2x 1st on Teletekst. A child of ‘Lily’ already won in 2018 a 1st Nanteuil 576 b. (2nd fastest 1,709 b.) …4th Laon 2,756 b. … 8th Laon 546 b. … etc.